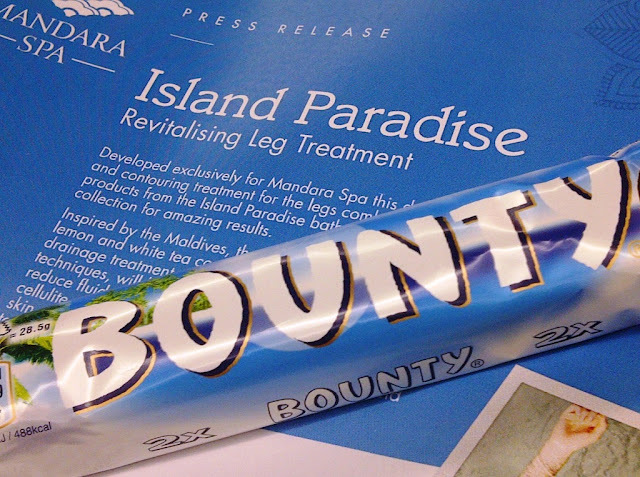 I was recently invited to experience a new Mandara Spa Treatment - The Island Paradise Revitalising leg Treatment. I popped along to the divine Spa based at the Park Plaza Hotel Westminster Bridge for the 50 minute treatment and allowed myself to drift away to paradise. 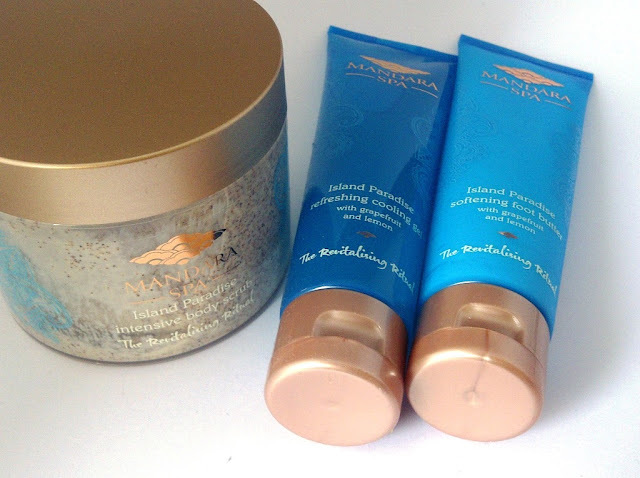 products from the Island Paradise bath & body spa collection. Inspired by the Maldives, the potent benefits of grapefruit, lemon and white tea combined with an intensive lymphatic drainage treatment using traditional bamboo massage techniques, will help stimulate a sluggish circulation, reduce fluid retention and smooth the appearance of cellulite. Tired, heavy legs will feel energised whilst the skin will feel beautifully smooth and look healthy and toned – the perfect preparation for summer. • To help kick-start poor circulation, an intensive dual-action treatment of dry-brushing, followed by exfoliation will have an invigorating effect on the legs. The Island Paradise Intensive Body Scrub combines crushed peach stone granules and coconut shells to thoroughly exfoliate the skin in preparation for the massage. • Next the Island Paradise Cooling Gel is generously applied and massaged into the legs and thighs. The cooling,menthol action will further help stimulate blood flow and refresh tired legs. • Legs are then wrapped, a technique that enhances the benefits of the cooling gel by restricting blood flow in the capillaries and helps to reduce any puffiness. Feet then receive a massage with the Island Paradise Foot Butter and placed into cotton socks for an intense nourishing treatment. • Whilst your feet and legs undergo their transformation,enjoy a wonderfully relaxing head and shoulder massage. • The treatment is finished with a traditional warm bamboo massage. Designed to stimulate the lymphatic drainage, it will help flush away the build up of toxins and fatty deposits that can lead to the appearance of cellulite. The legs will appear more toned and contoured whilst feeling revitalised and beautifully soft to the touch. 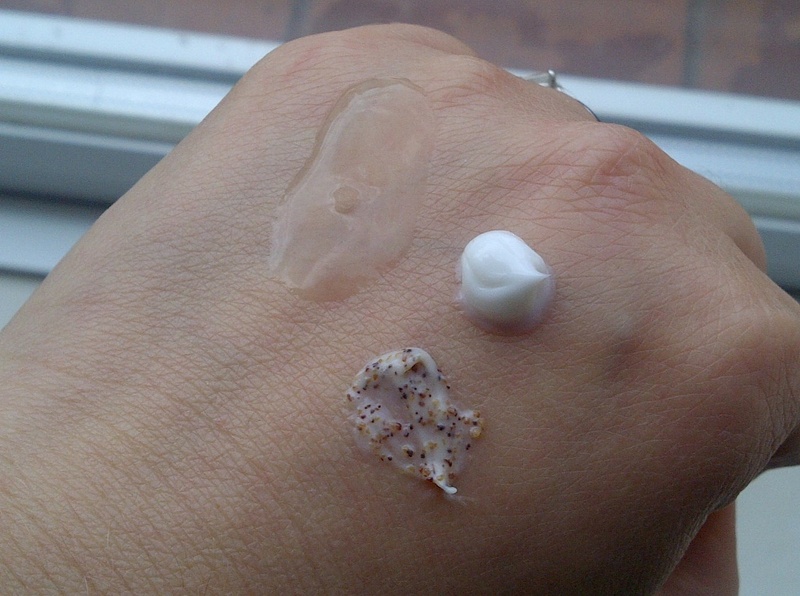 My thoughts and a mini review of the products used. The treatment from start to finish was sublime. The room was warm and inviting, the music calm and relaxing. my therapist had a wonderfully soothing voice. The scrub was harsh but pleasant for a real exfoliating and invigorating feeling that woke up the legs. The cooling gel's icy cool effects were really rather pleasurable as it gained momentum having been wrapped. I normally dislike my feet being massaged but the foot massage was gentle and non tickly which made it bearable.. I absolutely loved the head and shoulder massage which identified tense areas and my therapist recommended that I had regular massages to ease this. The highlight of the treatment was the warm bamboo massage on my legs. This was a delightful contrast to the iciness that had preceded it. 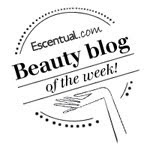 At the end of the treatment my legs felt extremely light and the softest and smoothest I have ever felt them to be. I felt ready to bare them. Bringing the spa to your home... You can replicate the spa treatment at home.. sadly minus the professional massage, with the affordable products that are used during the treatment. Product reviews - products available to purchase from Sainsbury's. Island Paradise Intensive Body Scrub £8.00 - Slightly lemony and citrus in scent this is a grainy and highly effective exfoliator. Island Paradise Refreshing Cooling Gel £5.00 - Containing menthol the scent is very similar to Tunes, which I find really quite appealing and cannot help inhaling. The cooling effect is fab and would be highly enjoyable on a hot sunny day! Island Paradise Softening Foot Butter £4.00 - This also has a citrus lemon scent, resembling a lemon cream. This foot butter is semi thick, absorbs fast and leaves feet smelling wonderful and super soft and silky. This sounds lovely. I like the bounty in the picture ;) haha. I may attempt to replicate this!